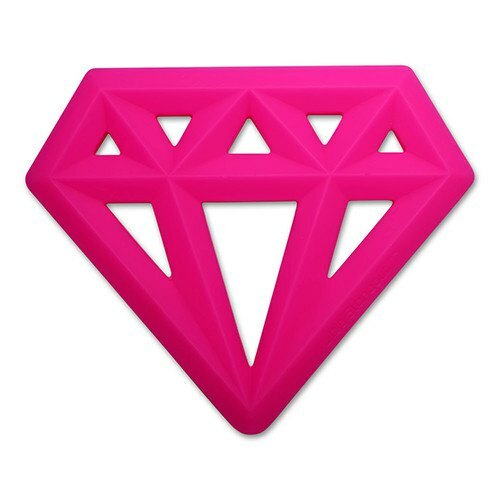 Our Diamond Teething Toy is great for soothing those achy gums. Don't be afraid to add a little bling to you and your baby's day! Made of 100% Silicone. 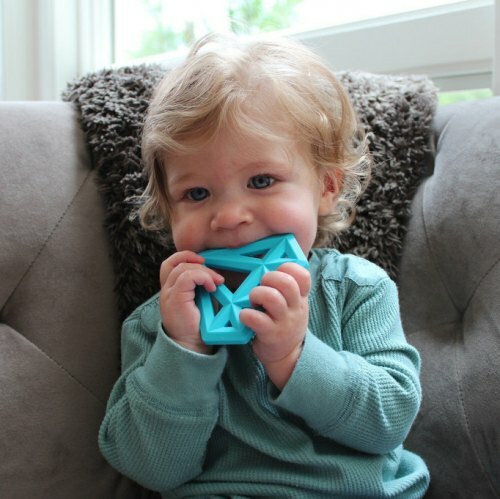 This teether is soft and durable, dishwasher safe, freezer safe, and super simple to clean with an easy-to-grab design. Little Standout toys are non-toxic, made of 100% silicone and are free of BPA, PVC, Phthalates, Lead, Cadmium, Metals and all that other yucky stuff you don’t want to see your baby putting into their mouths. They are durable, dishwasher and freezer safe, and easy to clean - making your job as a parent a little easier. Little Standout teethers have been tested thoroughly by a third party laboratory accredited by the CPSC, right here in the USA. They have exceeded all ASTM testing and standards. And best of all, our packaging is 100% recyclable and contains NO Plastic! Made for infants 3+ months. As with all infant toys, always use with adult supervision. Instructions for Use: Remove all packaging, wash, and rinse before first use. Dishwasher-safe, top rack only. Do not boil. Replace when damaged or worn. Never tie teether around a child's neck. Always use with adult supervision. Retain packaging for reference.